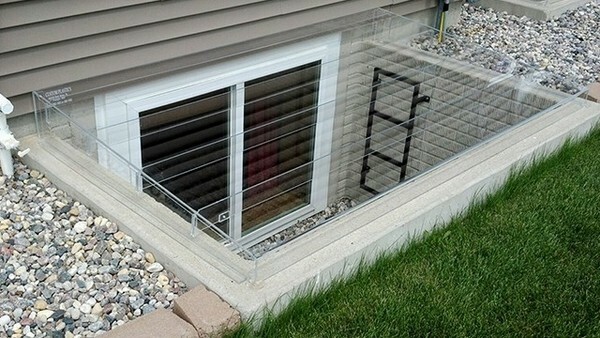 Window wells are the windows of the basement which allow natural light in and keep away dirt and moisture. 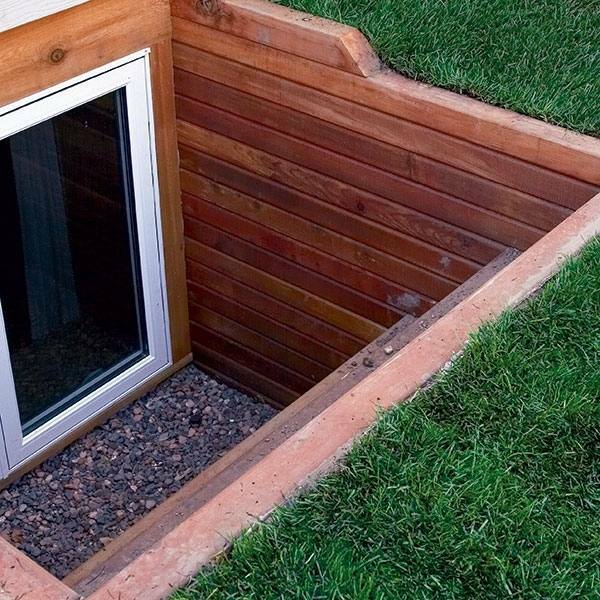 Typically they are below ground level and you can see them in private houses as well as in urban buildings. A protective pit around it prevents from moisture but maximizes the use of daylight too. The size, shape and design can be very different depending on the type of basement windows and we shall have a look at the main features, characteristics, materials, design and decorating options of window wells and will give you some ideas which could work for your home. 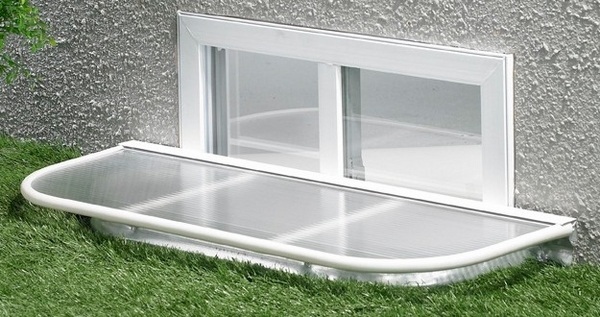 As mentioned earlier, the main purpose of window wells is to limit the access of water and dirt. 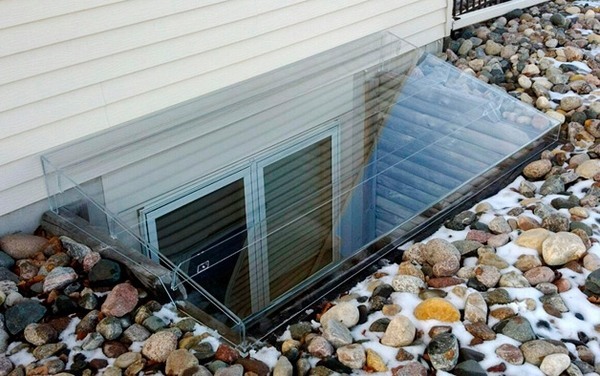 It will not allow melting snow soak into the basement, it will keep away leaves, debris and animals and you will have a lasting protection for your basement windows. An important function of the basement window is letting natural light in so the basement does not look dingy. This will make the basement area much more comfortable and pleasant and will significantly reduce electricity consumption for lighting. 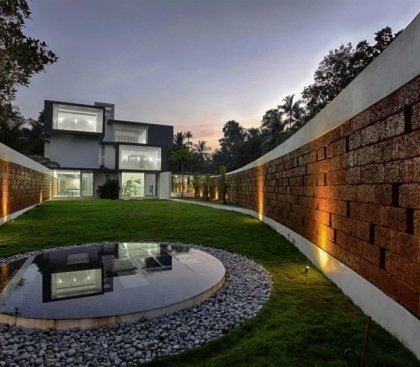 There are ideas which transform the necessity into a spectacular decorative element of the facade of the house and with some imagination and creativity you can add to the style and appearance of your home. There are special building codes and building regulations, which regulate and control the construction of window wells. You may have seen some fabulous ideas but before you actually begin work, you have to check if the design you chose complies with the rules for your building. The size and dimensions will depend on the size of the basement windows and how deep they are into the ground. One of the general rules is that the length of the pit should exceed half time the width of the window and the side perpendicular to the wall must not be more than 1 meter. 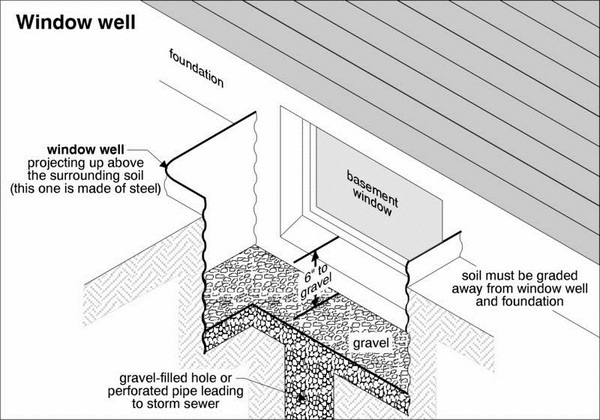 The bottom of the well should go below the window level with a slight angle of 3-5 degrees. 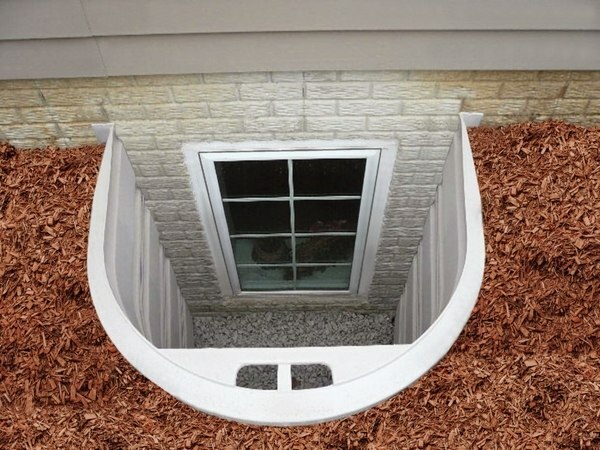 Window wells have different shapes – semi-circular, square, but the most popular, practical and convenient is the rectangular shape. 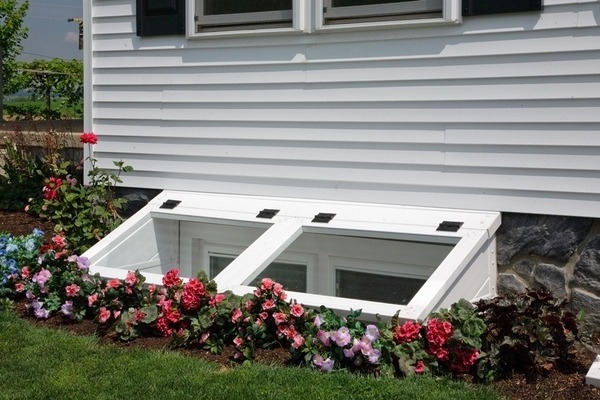 Window wells are manufactured by many companies and from different materials. 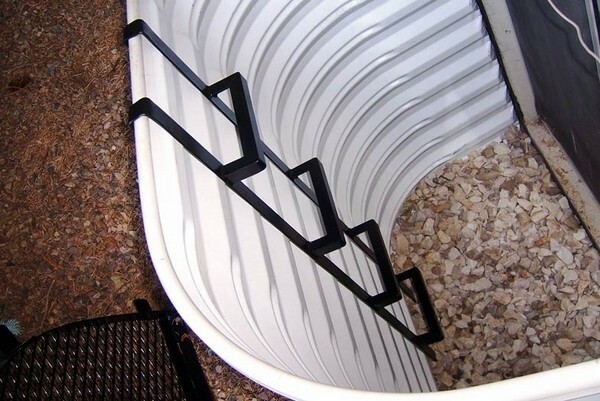 Ready made wells come in different sizes as well so before buying one, you should carefully measure and calculate the exact size that you need which is in compliance with the rules and regulations. 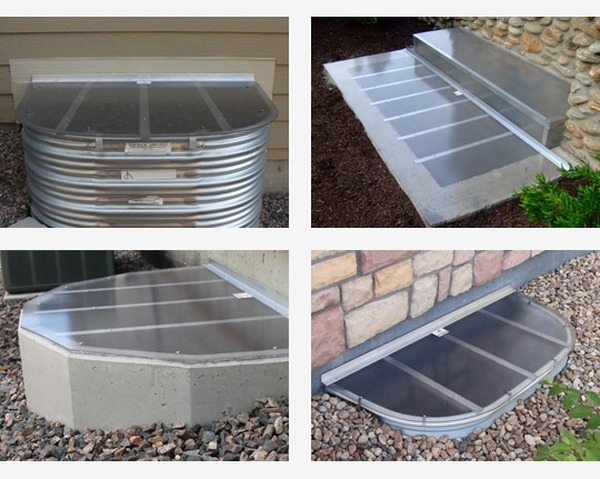 Corrugated steel wells are a cost effective option. Galvanized steel has a good life span and pre-fab models usually come with pre-drill holes for easier installation. 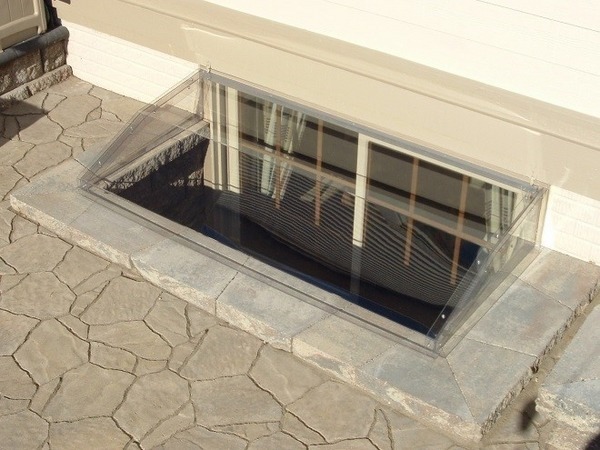 Metal window wells do not leak, they are durable and withstand various weather conditions. Metal will retain its shape in temperature changes. 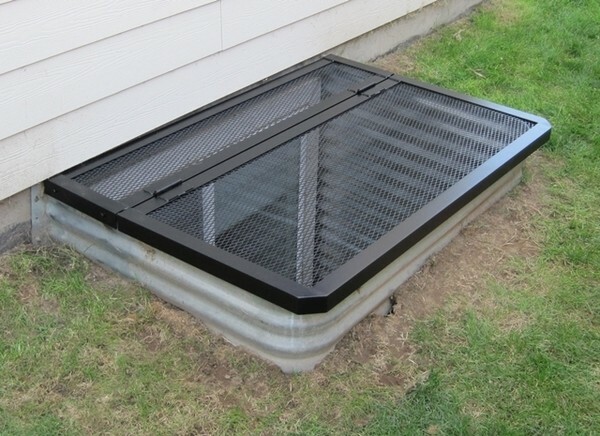 Plastic well covers are weather proof, durable and do not rust. In addition they do not dent. 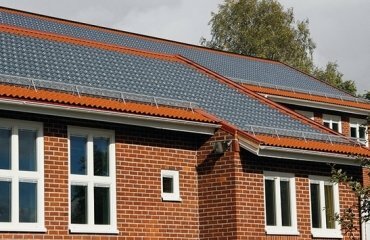 They are made of different types of plastics and they offer a good thermal insulation and good strength. You could combine units to add height. Like metal covers, plastic ones come predrilled and can be easily bolted together. Timber egress provide a wider choice of design options. 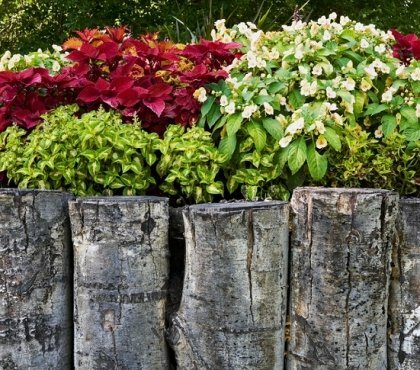 They look very nice and neat and work with any design style. 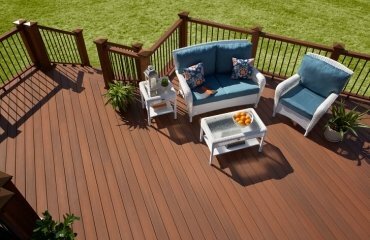 It depends on the homeowner what type of wood he will choose so that the it works with the exterior decor of the house. Timber window wells have the best aesthetic appearance and from that point of view, most people choose this option as this is what they see from inside their room. 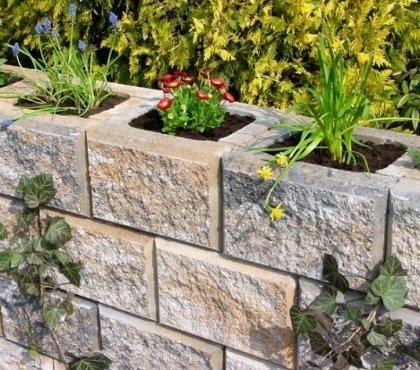 Concrete block or brick window wells are another option. 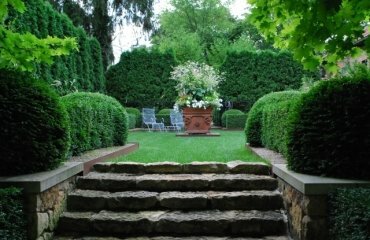 They require masonry work and are a more time consuming and costly option. 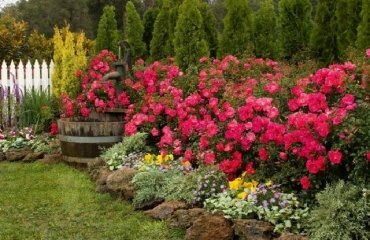 However, brick window wells look beautiful and with some additional decoration, they will be really pleasant to look at. 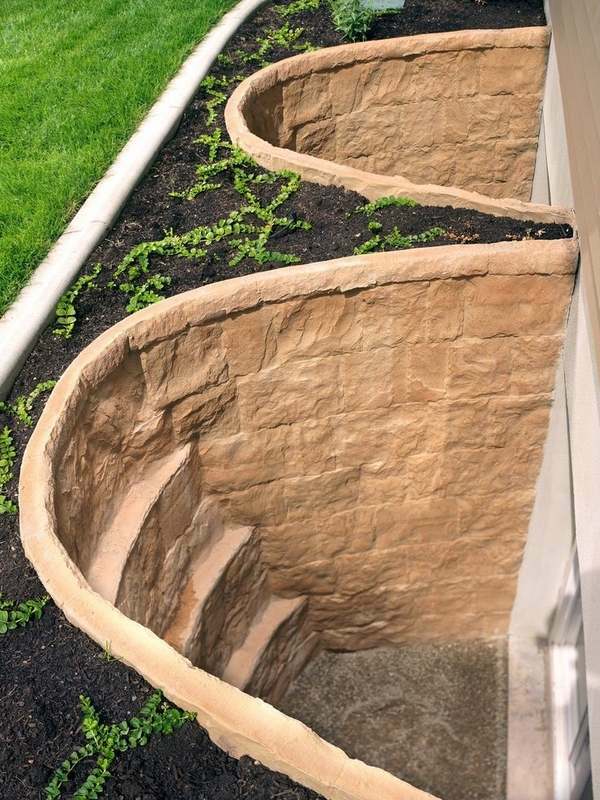 To prevent the appearance of dampness in the basement, the wells should be equipped with a drainage system that allows a diversion of water away from the building. 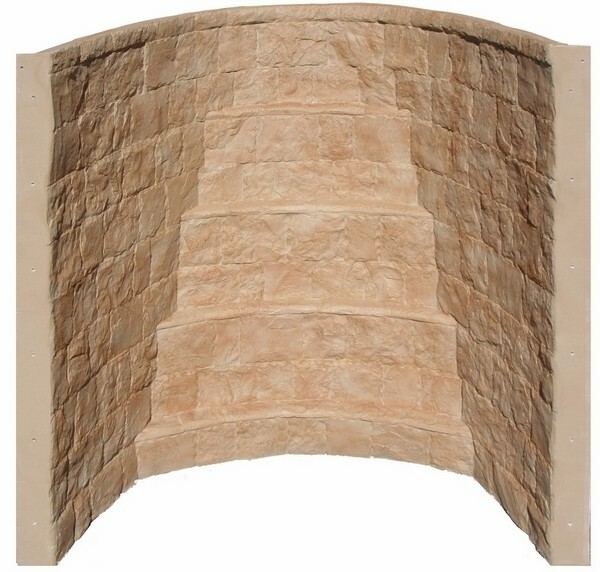 In addition, you may need an additional waterproofing of the wall of the window well. 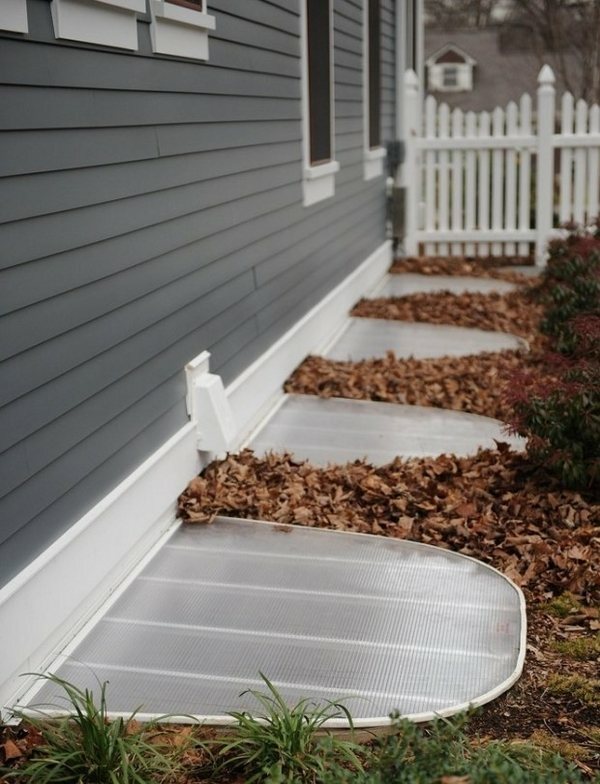 A simple draining system is very similar to the drain in a kitchen sink – if leaves or other debris get accumulated in the well, rain water will not be able to drain and eventually it will rise until it pours into the basement right through the windows. Keeping the well clean from debris is a must to in order to avoid water penetration into your home. 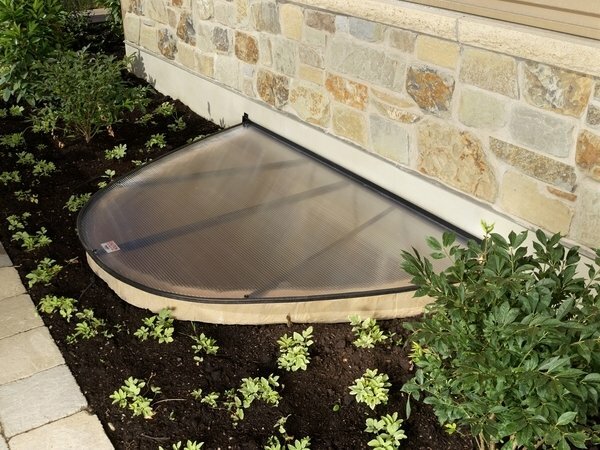 Window well covers are an effective way of keeping your window well clear of debris at all times. The covers come in a wide variety of designs, styles and materials polycarbonate, plexiglass. Sloped covers, Dome shaped, flat covers, aluminum grates, etc. 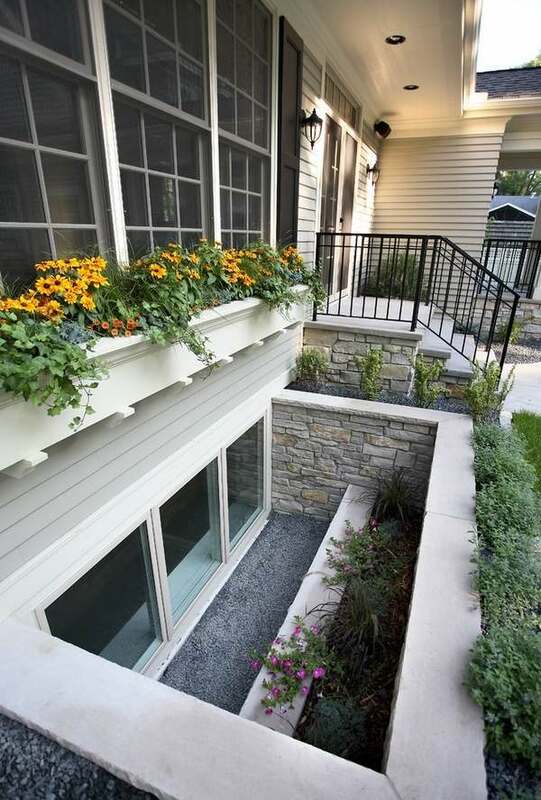 Sloped designs are really simple as they shed water away from your home. 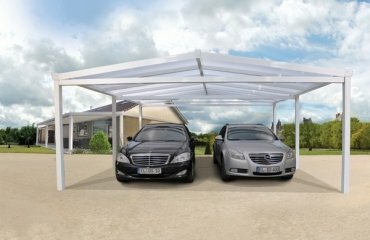 Unbreakable polycarbonate is used which makes them lightweight and transparent so that maximum amount of light is allowed. 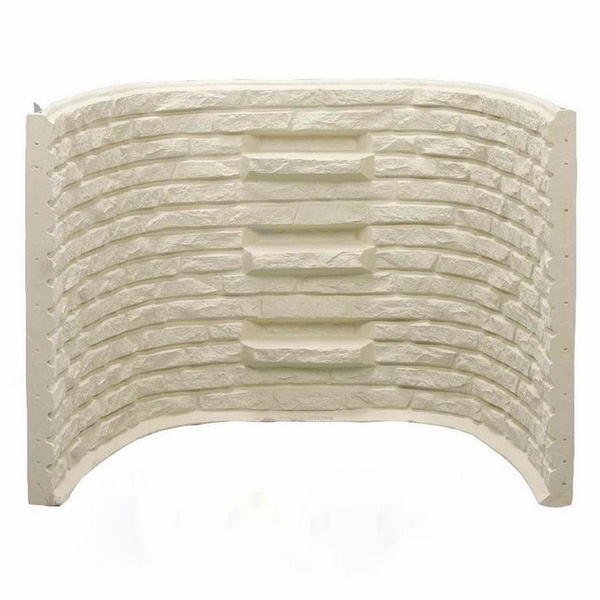 Dome window well covers, as the name suggests, are designed to cover from above the top. They can be ordered to the exact width and height of your windows. 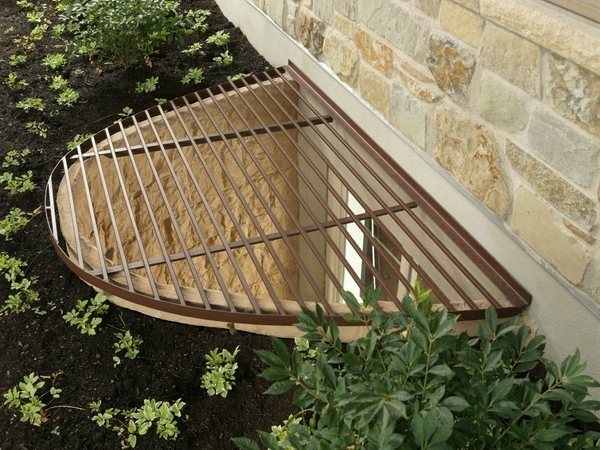 Window well grates are usually made of metal – aluminum or other lightweight materials for safety and easy removal. You could add a decorative finish if you wish – artificial stone, ceramic tile, and even natural stone, which also looks very original. 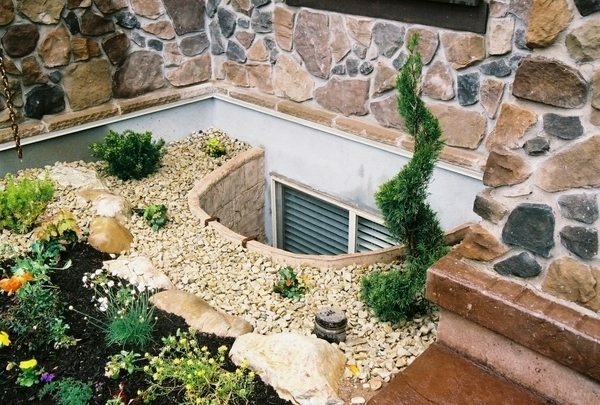 Wall cladding or painting the well is another option so that the window well looks good on the outside and on the inside as well.